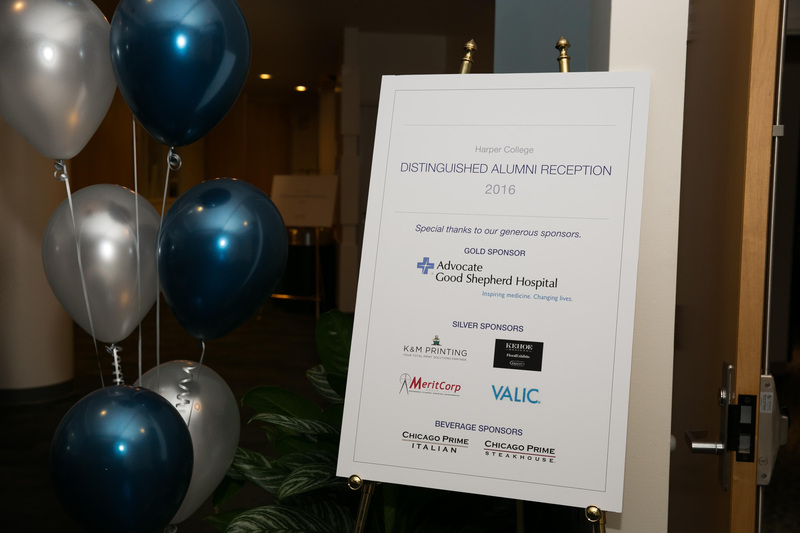 - A very big thank you to our generous sponsors of this year’s awards reception. 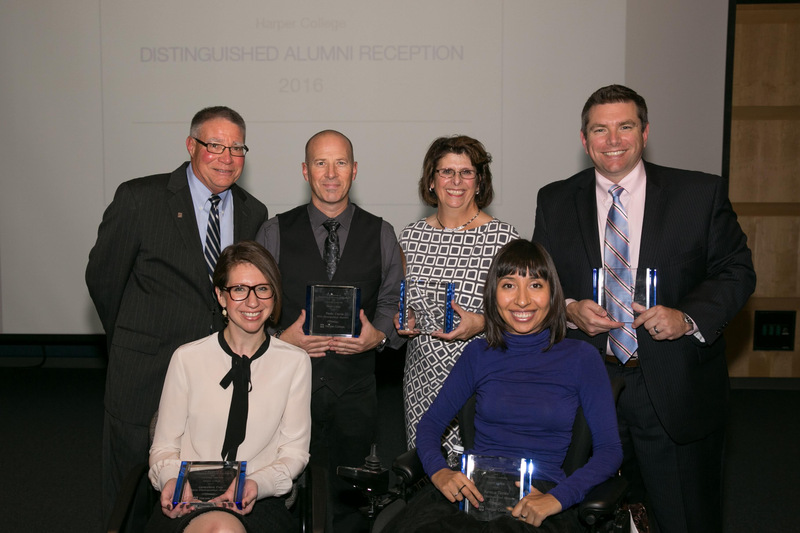 - The 2016 Distinguished Alumni Award Recipients with Harper College President, Dr. Ken Ender. 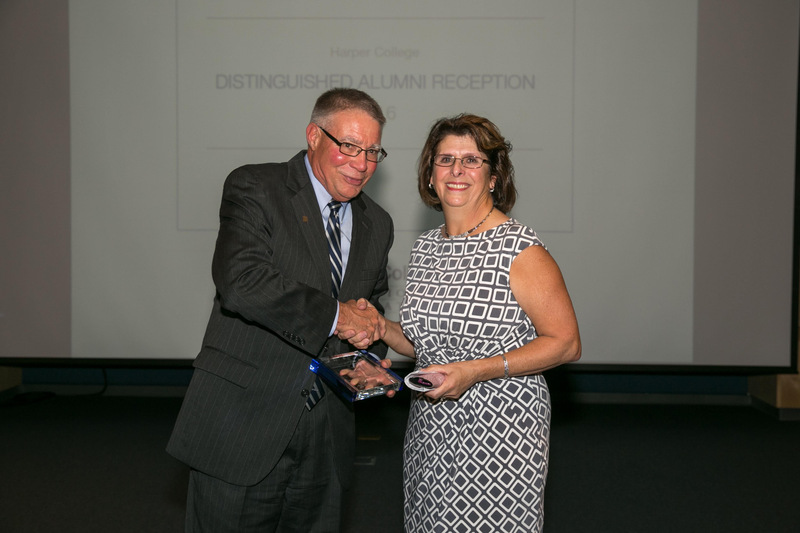 - 2016 Distinguished Alumni Honoree, Alva Kreutzer receives her award from President Ender. 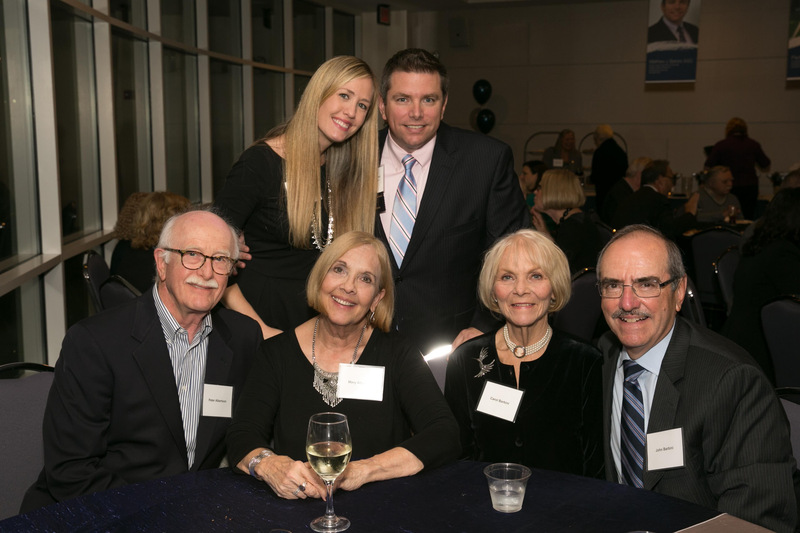 - 2016 Distinguished Alumni Honoree, Dr. Matthew Barbini (standing) with wife, Laurie, and family members. 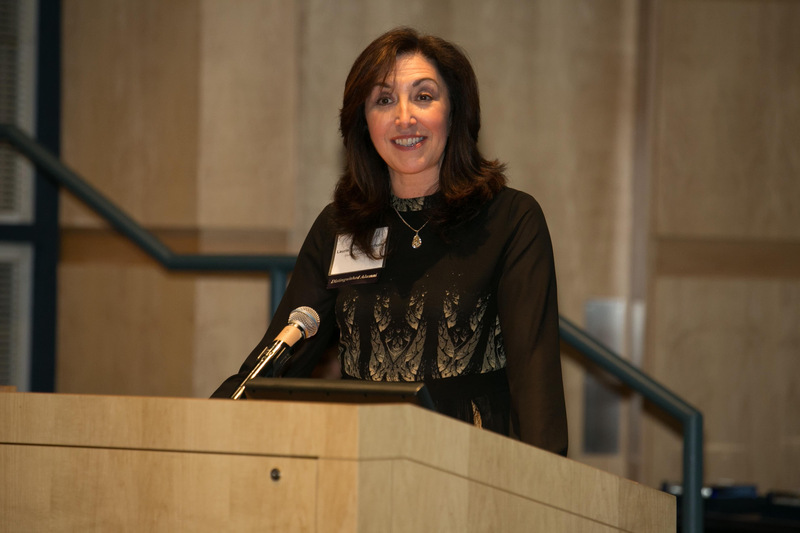 - Laurie Turpin-Soderholm a 2015 recipient of the Distinguished Alumni Award, serves as emcee for the awards ceremony. 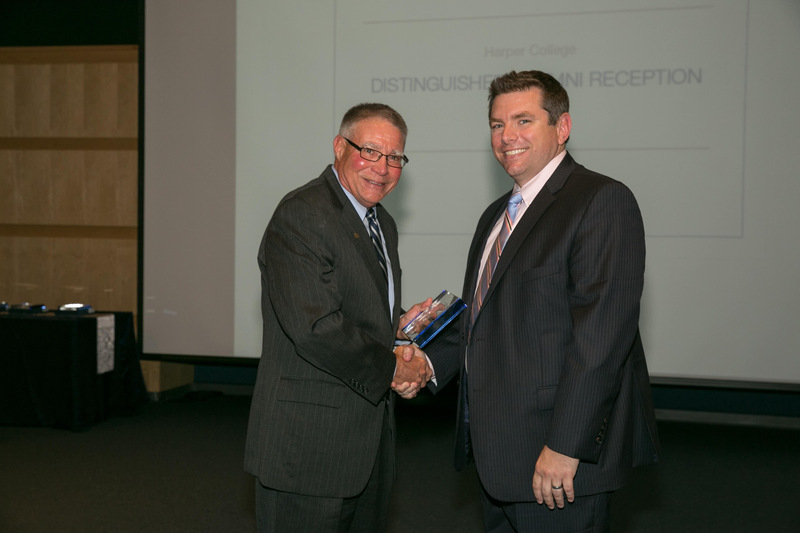 - 2016 Distinguished Alumni Honoree, Dr. Matthew Barbini (right) receives his award from President Ender. 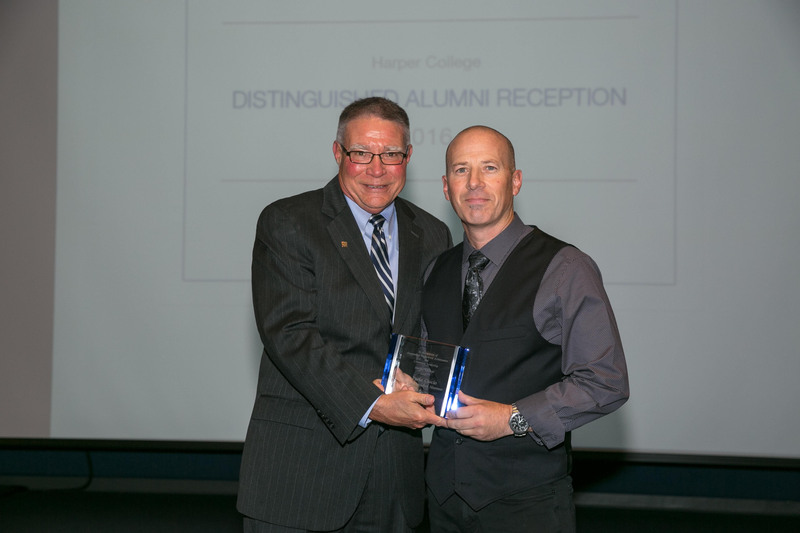 - 2016 Distinguished Alumni Honoree, Paolo Cascio (right) receives his award from President Ender. 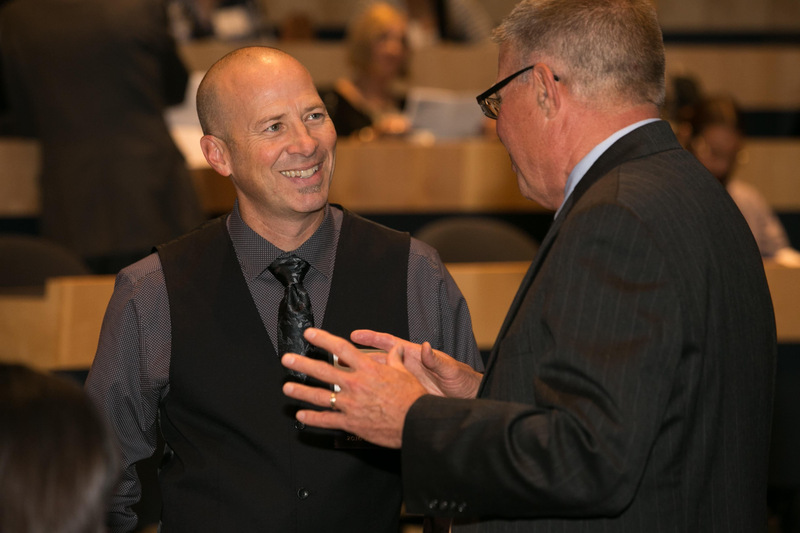 - Harper College President, Dr. Ken Ender congratulates Paolo Cascio (left) before the awards ceremony begins. 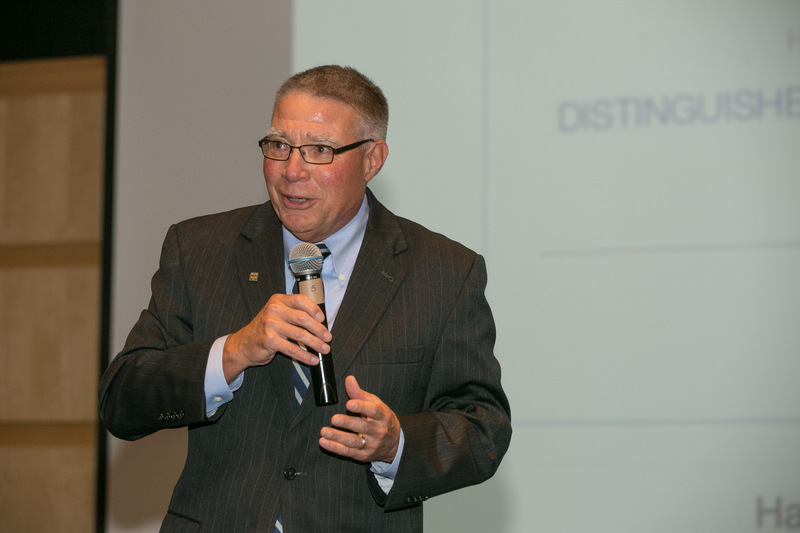 - Harper College President, Dr. Ken Ender welcomes guests to the awards ceremony and shares how inspiring the Distinguished Alumni Award recipients are to the Harper community. 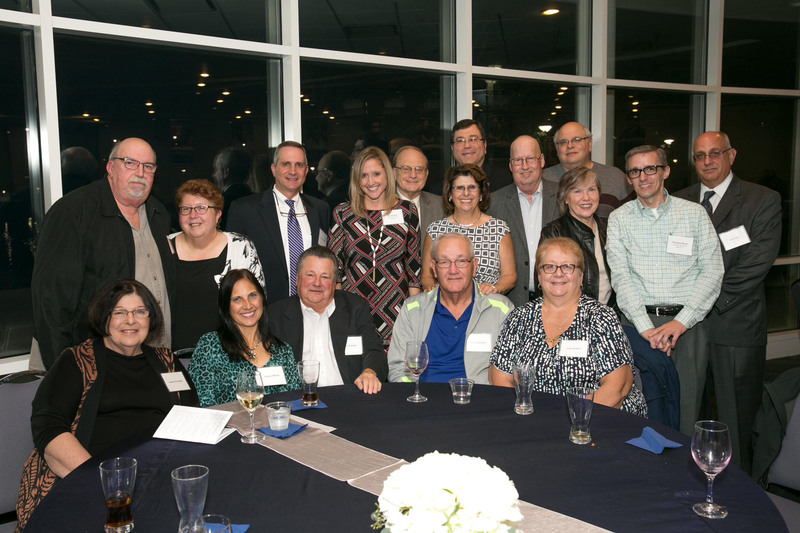 - 2016 Distinguished Alumni Honoree, Genevieve Frey-Moylan (standing, second from left) with husband, Mike, and family and friends. 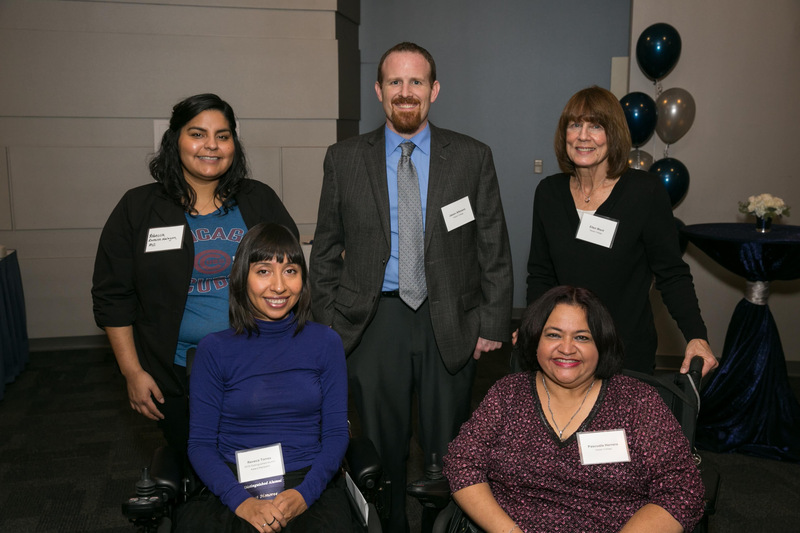 - 2016 Distinguished Alumni Honoree, Reveca Torres (seated left) with Harper Professor and nominator for the award, Pascuala Herrera (seated right), and guests. 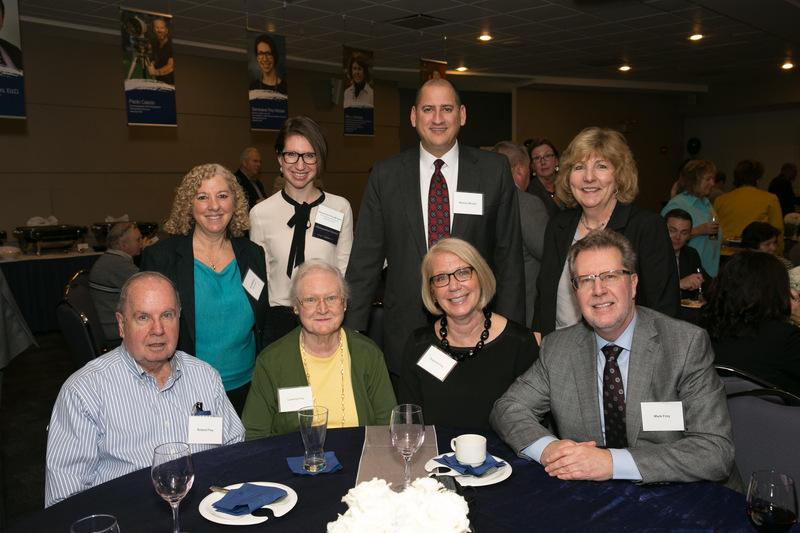 - 2016 Distinguished Alumni Honoree, Alva Kreutzer (second row, third from right), with family, friends and colleagues. 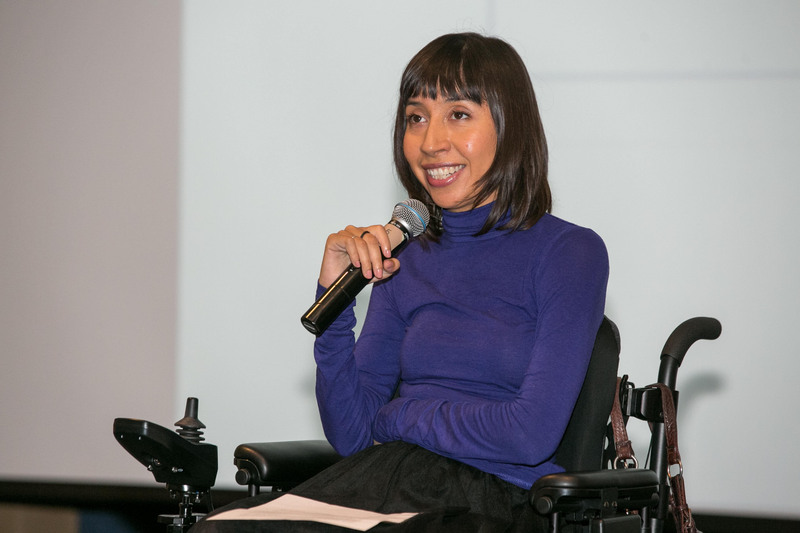 - 2016 Distinguished Alumni Honoree, Reveca Torres describes the difference that Harper made in her life during the awards ceremony. 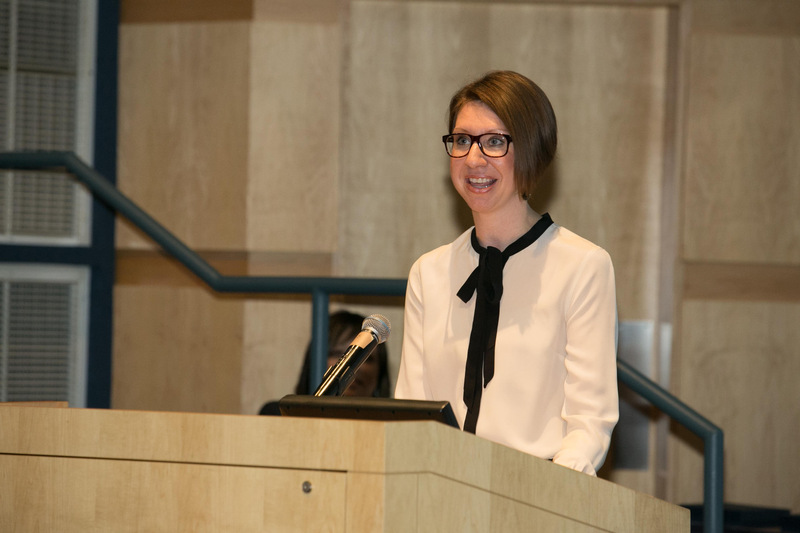 - 2016 Distinguished Alumni Honoree, Genevieve Frey-Moylan, speaks passionately about her experience at Harper during the awards ceremony. 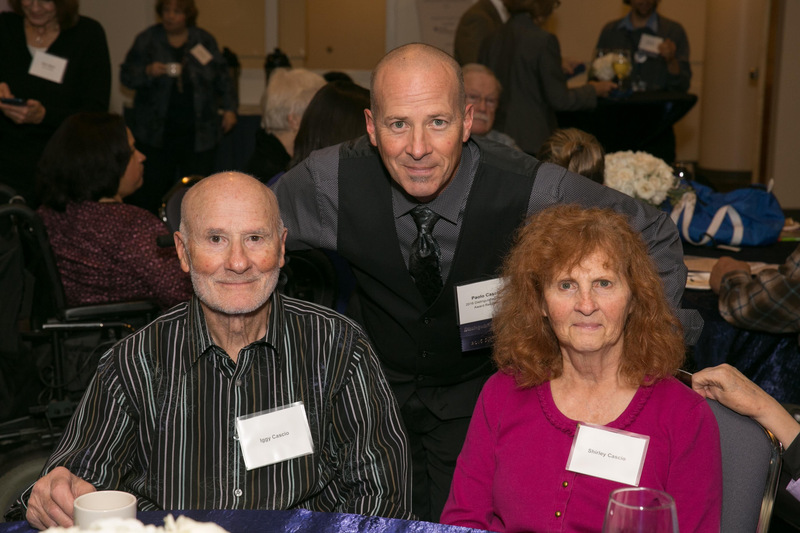 - 2016 Distinguished Alumni Honoree, Paolo Cascio (center) with parents. 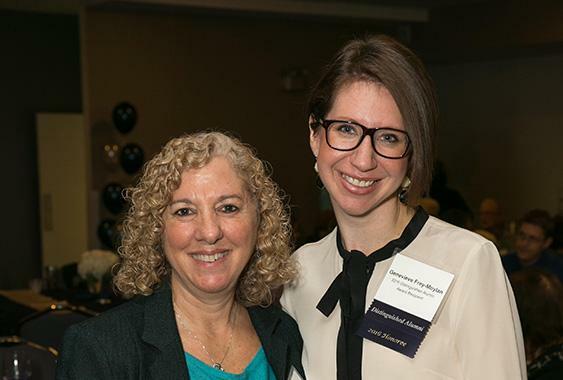 - 2016 Distinguished Alumni Honoree, Genevieve Frey-Moylan (right) with Harper nursing professor and nominator for the award, Joni Rothblum. 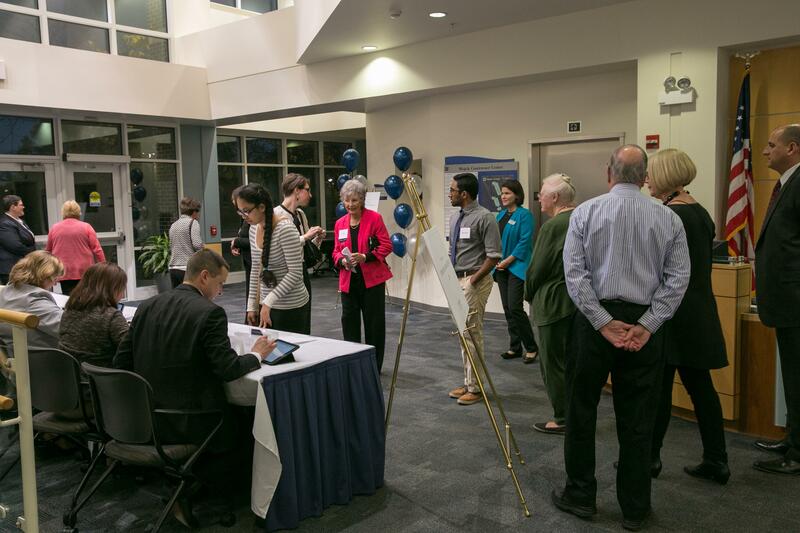 - The conference center lobby is buzzing with activity as guests check in before the reception. 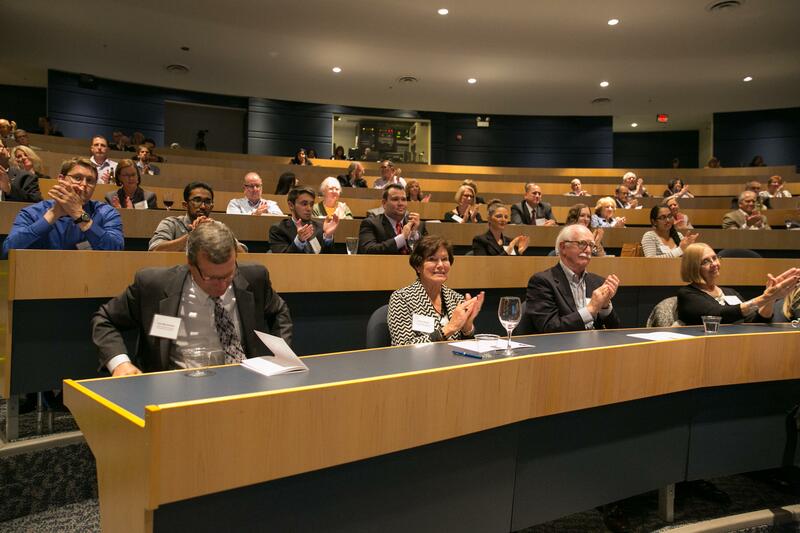 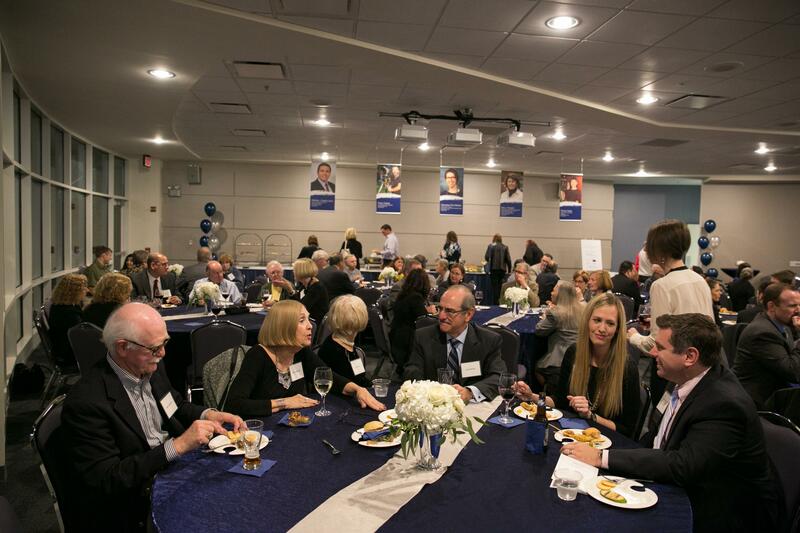 - Guests applaud this year’s honorees of the Distinguished Alumni Award. 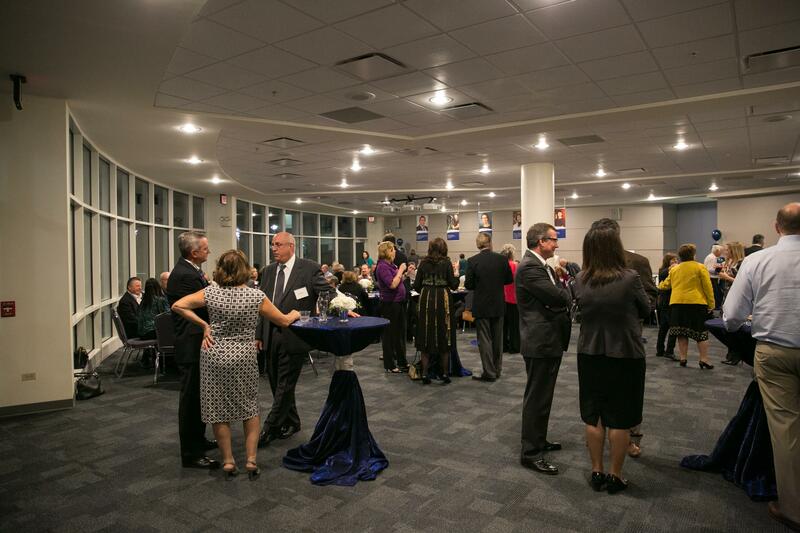 - Guests enjoy the reception prior to the awards ceremony.